The club president says the Lions skipper has priced himself out of a move. 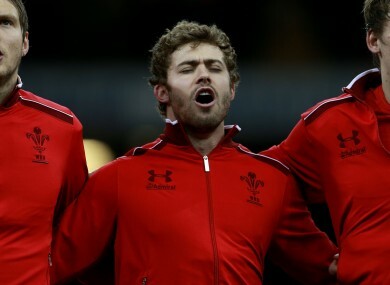 Wales Leigh Halfpenny sings the national anthem before the Australia Test recently. Mike Phillips, Jamie Roberts and Dan Lydiate all play at Racing-Metro while James Hook and Luke Charteris are at Perpignan. Lee Byrne is at Clermont, who have signed Jonathan Davies for next season, while Toulon will have Ian Evans on their books in the next campaign. Email “Toulon open door to Halfpenny, close it on Warburton”. Feedback on “Toulon open door to Halfpenny, close it on Warburton”.